Do you suffer from anxiety? Osteoporosis? Muscle Cramping? Poor Glucose Metabolism? Headaches? Constipation? Magnesium deficiency can contribute to all of these issues. This micro-nutrient is important for overall health and essential for over 300 chemical processes in the body. Yet, most of us are deficient in magnesium. Magnesium is commonly used to help people dealing with chronic fatigue, migraines, restless leg syndrome, mood disorders and diabetes. You may not realize, however, that it’s also important for the formation of healthy bones and teeth, necessary for cognitive health and that it plays a role in many cardiac processes. Yes, it’s important for heart health as well. So how can we increase the magnesium in our bodies? We can include magnesium rich foods in our diet. Supplements are also a helpful way to increase magnesium intake, but not all supplements are created equal. There are many supplements that are low quality and not easily absorbed by the body. Well known functional medicine physician, Dr. Sachin Patel recommends avoiding magnesium sulfate, oxide, and carbonate because they don’t absorb well. 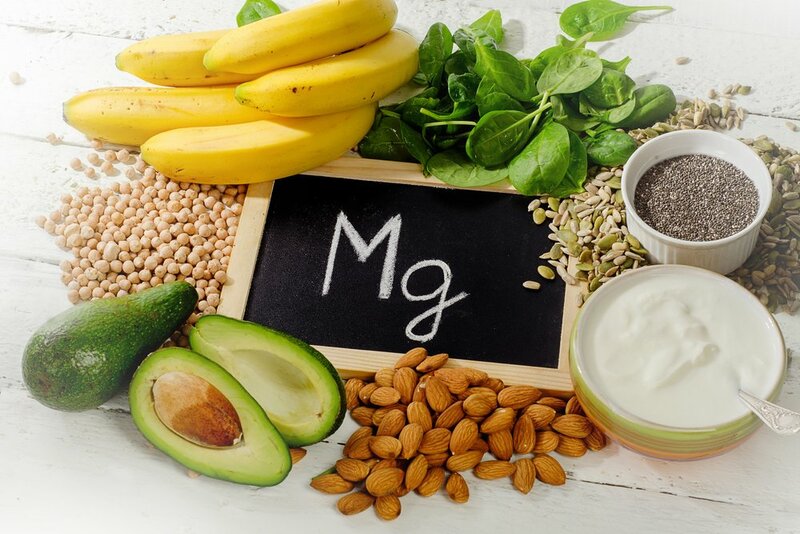 Magnesium Glycinate – this form is easier to absorb than some other magnesium supplements and shouldn’t cause loose stools or stomach problems. It is one of the gentlest on a person’s stomach. Magnesium Malate – A combo of magnesium and malic acid, this form supports energy production as well as lactic acid clearance. Malic acid is a naturally occurring substance that can help the body produce energy during aerobic and anaerobic activities. The combo of magnesium and malic acid provides many benefits. Magnesium L-Threonate – this is the only form of magnesium that has been proven, in studies, to cross the blood-brain barrier. This type of magnesium has shown promise in being able to penetrate tissue and cell membranes. Increasing the magnesium level in the brain is important for long and short term memory, learning, stress management and sleep. Work with your healthcare provider to find out if you could benefit from more magnesium and if so, which formulation best fits your needs.